How do I update my static context value saved from shared preferences? 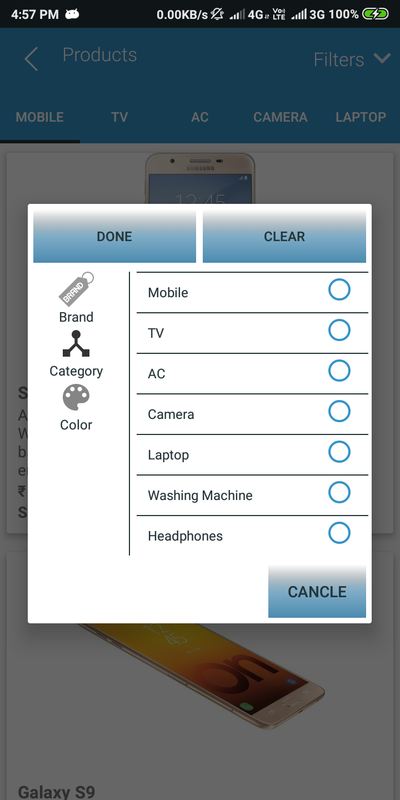 How to generate list of items from checkbox selection in flutter? How to add text onto checkboxlist items? I have a list of checkboxes and radio button which I am loading dynamically in the alert dialog as shown in below screenshots. Now what I want is that, maintained the state (Checked or Unchecked) of each checkBox and radio button from the list when I opened and close alert dialog for the first time. so I can easily set checked or unchecked state after reopen the AlertDialog. The docId is a key generated by the add function. Each city with the corresponding cars. How to solve this? The problem occurred after updating my android studio to Android Studio 3.5 Canary 11 and Kotlin to 1.3.30 without any other changes. Well, Canary 11 had already a major bug in UI that made Google release Canary 12 in 3 days. Pretty much after that update, I can't run the app in any device. 1- The device, I use is running Android P.
3- I'm not using Proguard for the sake of fixing this issue. 4- The problem is known for at least 3 libraries, all of them are fine and tested in other projects. 5- I analyzed the APK and libraries were existed in dex files. 6- It's not a package name problem or similar things. as I mentioned project worked fine before the update. although I triple checked everything in case of mistake or misclick. 7- libraries are not heavy one of them is actually super light. 8- One library causes NoClassDefFoundError and two other hits ClassNotFoundException. P.N: I've already read pretty much every relevant and irrelevant question in SO about these errors. Any idea, how I can fix this so I can update the link in NEW_URL every single time that it sticks to the new value instead of the value stored the first time? I have a switch button that includes and excludes a specific action. I need to click on the Menu item to open a dialog where the switch button will be located, I try to implement it, but when I launch the app and clicking on the Menu item, app crashes, where is the problem here, please help. I am showing two dialogs each should be displayed with different network call on the same activity (Login Activity). In which if I click on "Resend Email" text view in the first dialog then I am having another network call that shows me another dialog. When I click "OK" on the second dialog, it is dismissed. But the first one is still shown. So how to dismiss both when I click "Ok" on the second. Here is the snippet of code I am calling with every network call on LoginActivity. (Putting this code in separate class). I am trying to create a list of ids & names from checkbox selection and i want to pass that array list in navigator.pop but somehow i am not able to do it.? My checkbox and code to create list and pass it into navigator.pop. THIS IS MAIN PAGE WHERE I WANT TO GET AND REDIRECT TO SECOND LIST PAGE. How can I fix this error? If the first item is selected in checkboxlist CBLAdd, this error doesn't happen. If the second, third, etc item is selected (and the first item is not selected), I get an error. I need to add text beside checkboxlist values (which are populated from a database and stored in an arraylist), and I need to make this added text italics and red. As you can see in my result picture, the entire value is red when only "(Modify)" should be red. It also changed the value under the heading Active Services "Arbitration - Justin" to "Arbitration - Justin (Modify)" when it shouldn't have. I only want it to add "(Modify)" to the one box under the heading Modifications. 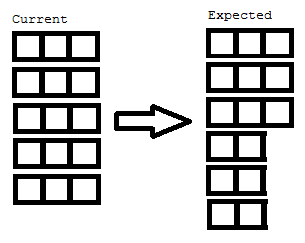 I wonder if there is any built in config able to add so that it can rendered 6x3 table instead of 5x3 table. Unfortunately a config RepeatRows does not exist. I am using angular material 7. I have a table design which i have to use. So that is fixed. When i try to use radio-buttons in td, i am not sure hot to give same group. Here is stackblitz of my issue https://stackblitz.com/edit/angular-tt2kep-woea34. Hi I am having some trouble with my code. I have an ASP radiobuttonlist and want to display contents when there is a item selected. But when I select a radiobutton, and switch back to the old one my content doesn't show up any more. Before I had ASP radiobuttons I had buttons did worked as pleased but I had to switch to ASP buttons for a reason. ErrorMessage="Voer geldig email adress in"
ErrorMessage="Email is al in gebruik"
ErrorMessage="Password does not meet requirements"